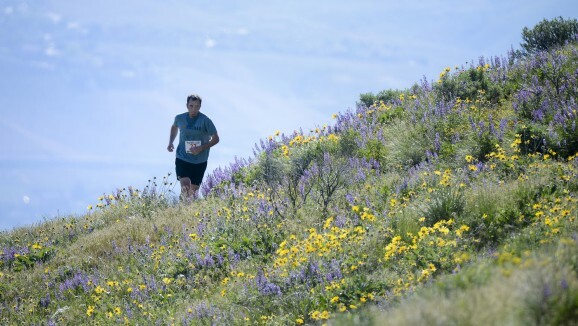 A runner rounds the corner at Saturday's Horse Lake Trail Runs near Wenatchee. WENATCHEE — Barry Hodges put his foot down — literally — and never looked back in capturing the Horse Lake Half-Marathon Trail Run men’s title on Saturday morning in the Wenatchee Foothills. minutes. Jared Purcell of Farmington, N.M., was third in 1:54:13. The women’s half-marathon race went to Ellensburg’s Jody Chinchen, who was clocked in 1:48:42. 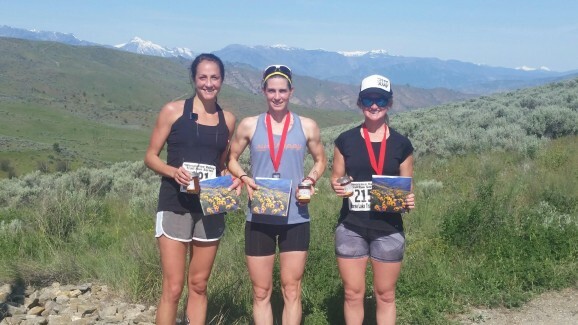 A pair of Wenatchee runners were second and third respectively — Selina Danko finished in 1:54:28 and Chelan Pauly in 1:57:19. 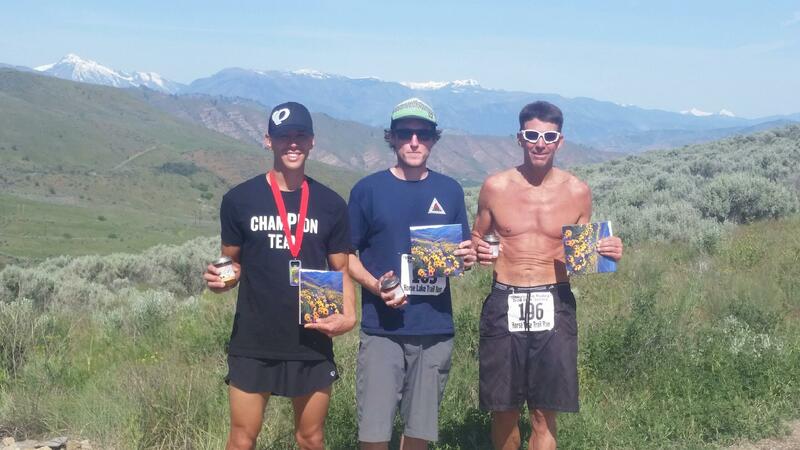 In Horse Lake’s other trail race — a 5-Miler — the men’s title was won by Ross Lindell in 35 minutes and 57 seconds and the women’s title by Wenatchee’s Sarah Barkley in 39:36. 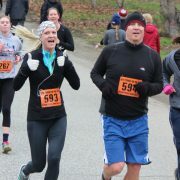 Lindell was followed across the finish line by Kerry Farrell of Federal Way (36:35) and Doug Wood of Wenatchee (36:43). Barkley bested Amy Sheehan of Wenatchee (41:45) and Jillian Reiner of Wenatchee (47:19). 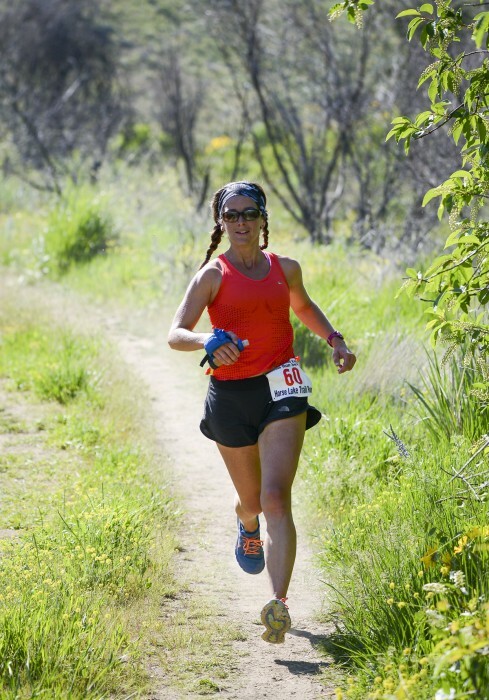 The third-annual Horse Lake Trail Runs were held under sunny skies and temperatures in the 50s and 60s at race time. The event, held on the sprawling Horse Lake Reserve owned by the Chelan-Douglas Land Trust, attracted a field of 187 athletes. The event serves as a fundraiser for the Land Trust, with proceeds being used to build and maintain trails in the Foothills. 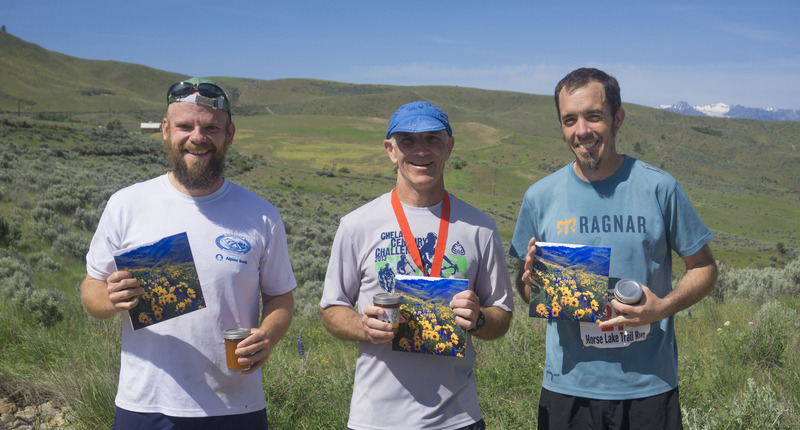 RunWenatchee, which organizes the race, added the upper stretches of the Apricot Crisp Trail to the half-marathon course this year. That allowed for one complete loop of the property. Last year, runners had to double back before finishing. 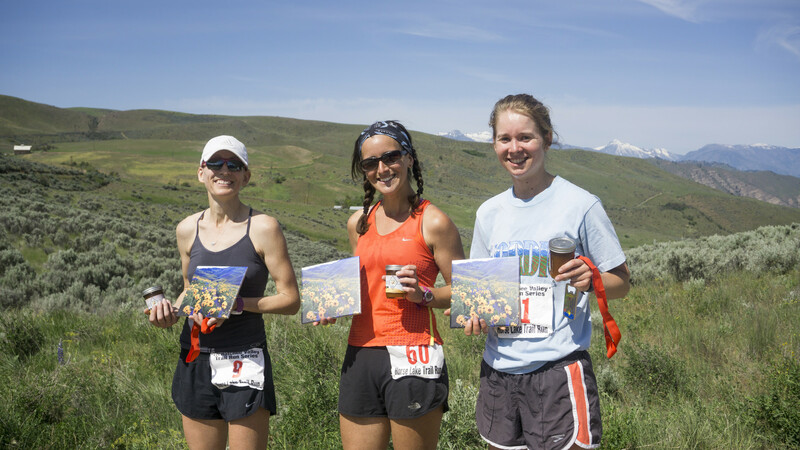 The half-marathon features about 2,500 feet of elevation gain. 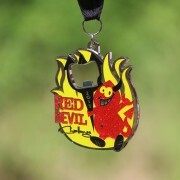 The 5-mile course has about 600 feet of gain. 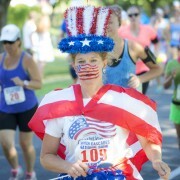 “I loved the new (half-marathon) course,” said Danko, who finished second in the women’s half-marathon. “With the early flowers in the lower Foothills this season, it was nice to see the upper reaches of the Apricot Crisp Trail where the bloom of lupine and balsamroot is still a real show-stopper. I saw at least one runner pause to snap a picture or two. 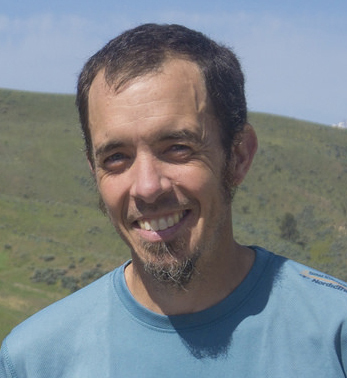 Race director Joel Rhyner said starting the half-marathon about 10 minutes before the 5-mile run helped create some distance between runners. He said the runners he spoke to — including ones from outside the region — were impressed with the event. Women's half-marathon placers Selina Danko (second), Jody Chinchen (first) and Chelan Pauly (third). Women's 5-mile run placers Jillian Reiner (third), Sarah Barkley (first) and Amy Sheehan (second). Men's 5-mile run placers Doug Wood (third), Ross Lindell (first) and Kerry Farrell (second).